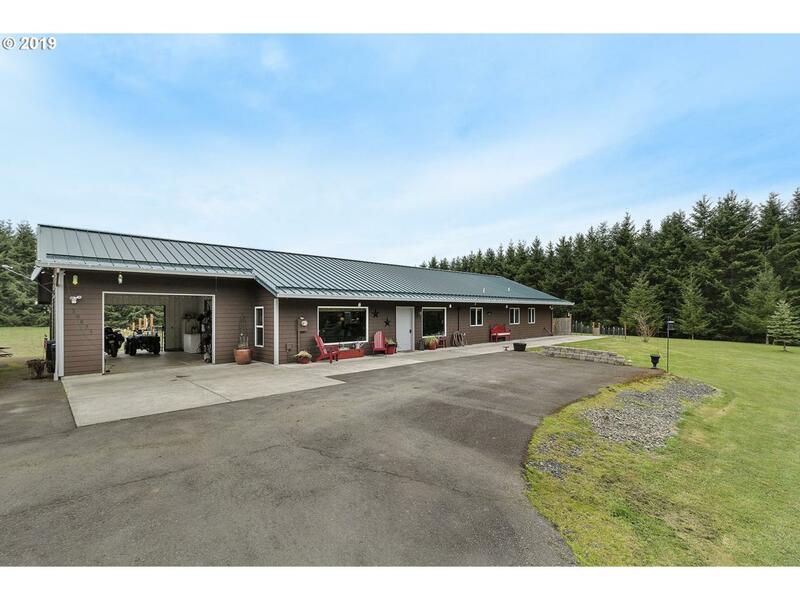 Gorgeous Custom Ranch Home on 5+ Private Acres surrounded by trees. 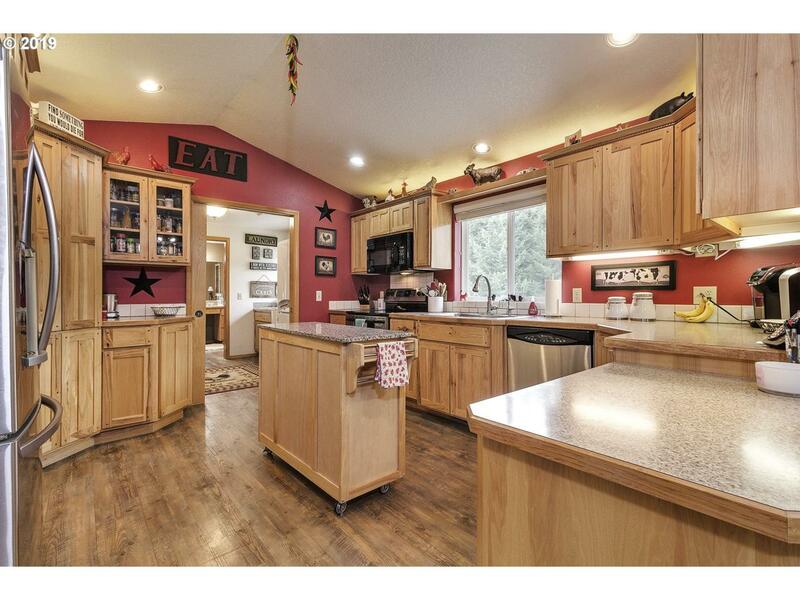 Easy care Laminate Tile Floors, Hickory Cabinets & Stainless Steel Appliances in Kitchen. 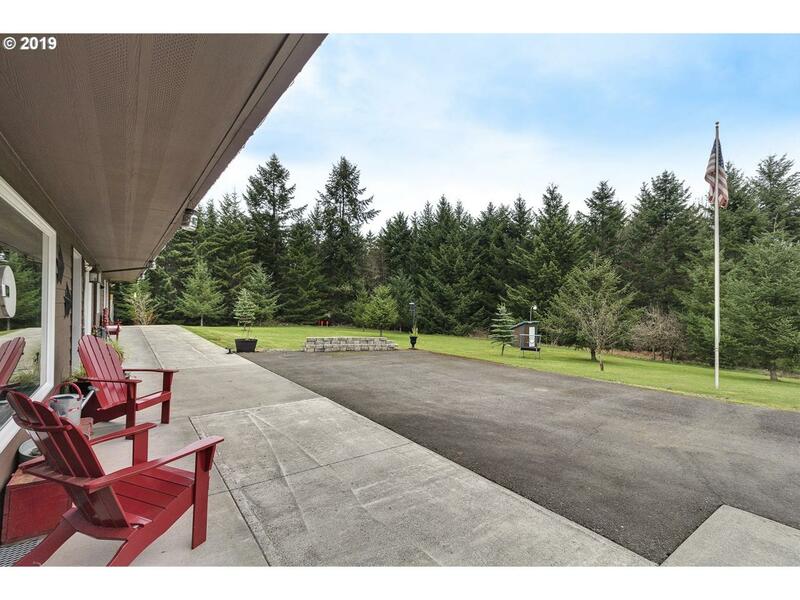 Family Room w/Vaulted Ceilings, Wood Stove & French Doors to the large fenced yard & pasture beyond. 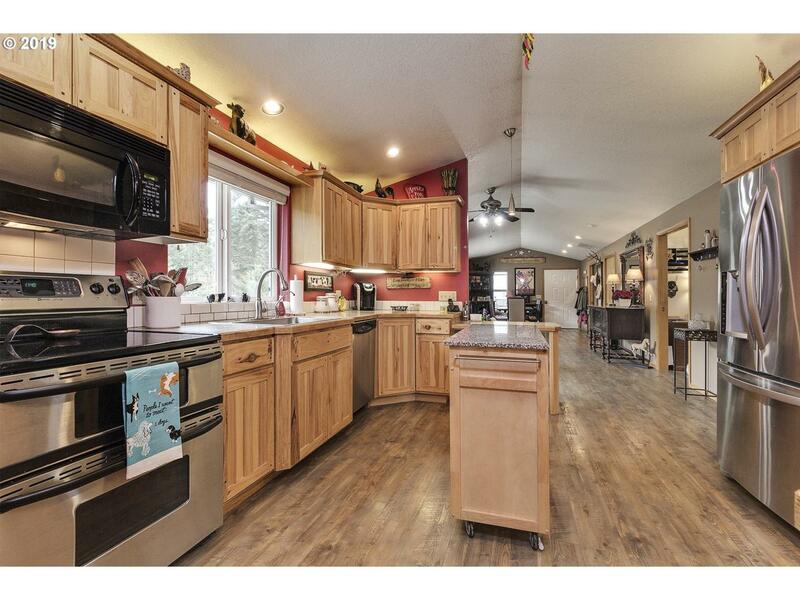 Large, Vaulted Master (23x15) 2/french doors & a bath w/walk in shower. A 2-Stall Barn, Shop & 2 Conex Units used for storage. Generator ready The Home is ADA Complete. A Must SEE! !